The MUVI K2 takes handsfree video capture to the next level. The enhanced MUVI K2 XA-7 Achilles chipset extends your options for filming with a top specification of 1080p at 60FPS using 19Mbits/sec. 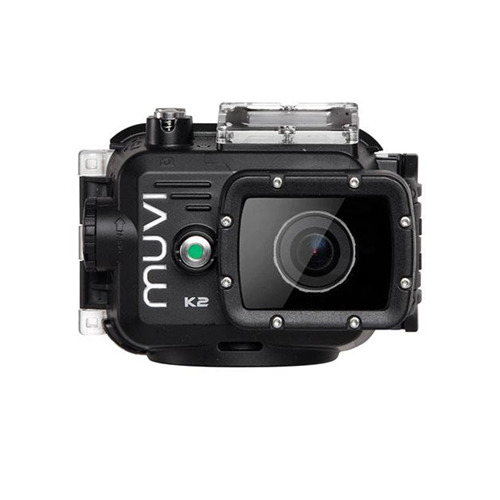 The MUVI K2 also comes ready for watersports including the new waterproof case capable of operating at depths of 100 meters (330 feet).The MUVI K-Series has a new smaller & sleeker form factor which makes this camera even more versatile than the previous MUVI HD models. Measuring only 6cm x 4cm x 2.3cm (2.7in X 2in X 1in) the K-Series is the smallest high definition MUVI yet, meaning handsfree video capture is easier than ever before. The MUVI K2 records high definition 1080p video at 60fps as well as 720p at 120fps using the new MUVI XA-7 Achilles chipset and has a choice of bit rate default being 19 Mbit/s. As well as settings great for handsfree video capture the K2 also has settings to enable broadcast quality video capture for professional and prosumer use. 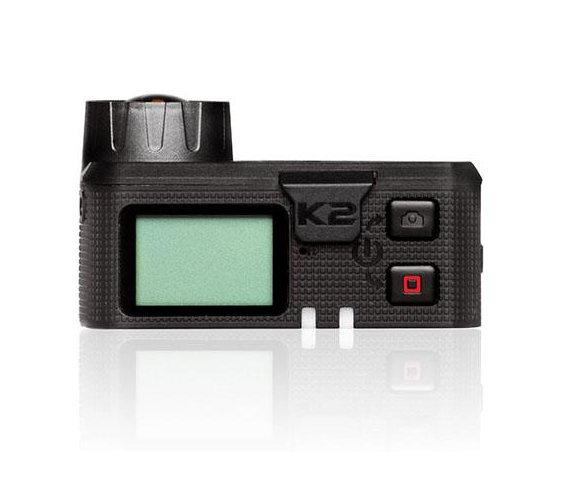 The K2 captures stills at 8, 12 and 16 megapixel and now comes equipped with photo burst mode that allows you to take up to 10 photos per second, which is perfect for trying to achieve the perfect action shot. 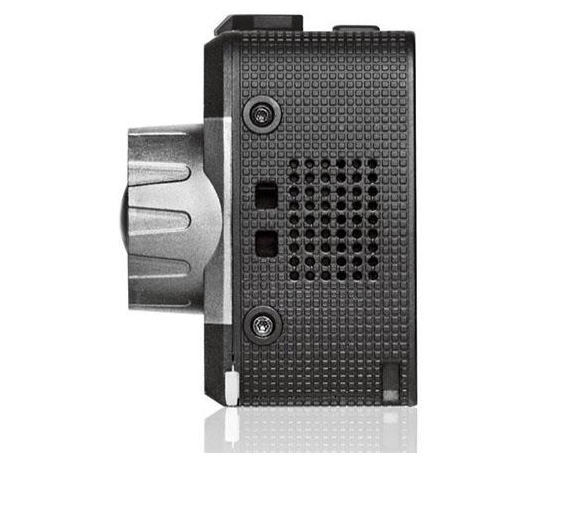 Additional new features include 180-degree rollover which means if you are mounting your K-Series upside down the footage plays back the correct way up and G-sensor auto-start which allows you to set your MUVI to start recording on a change of gravity. You can also now capture interval stills during video capture at a set of predefined periods so you can save the best still images handsfree while capturing footage. The MUVI K2 now has an interchangeable, rechargeable lithium battery which has a capacity of 1500mAh, the largest on the handsfree camera market, which will allow up to 4 hours of continuous recording. 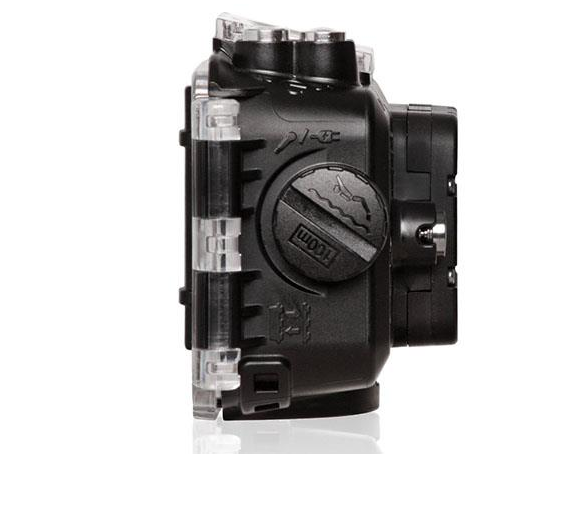 It also ships with the K-Series waterproof case enabling dives of up to 100m and has operational buttons for video control and photo capture underwater. The K-Series waterproof case also has a changeable backdoor for use with or without LCD backpack and has a port opening for charge and record purposes when your waterproof case is mounted outside water. 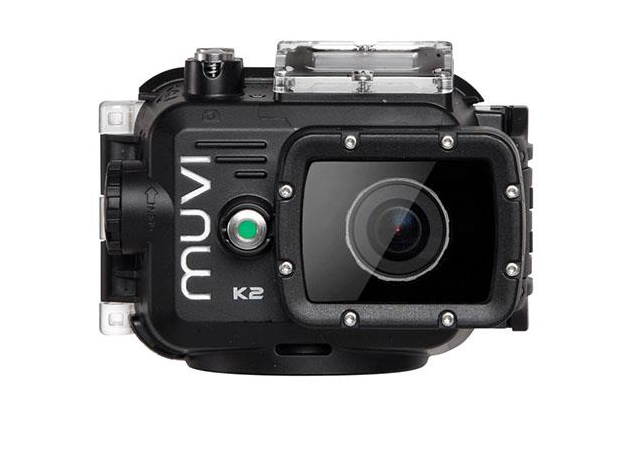 The K2 is also fully compatible with all the current mount and accessories in the MUVI HD range. The MUVI K-Series now comes with built-in Wi-Fi with a range up to 60 meters, which allows you to connect and pair with your Smartphone. The MUVI K-Series APP allows you to connect your K-Series camcorder wirelessly to your iPhone via Wi-Fi so that you can view live, record videos, take photos and share through email, Facebook, Twitter and more. The app is available on the Google play store & also on the Apple iOS app store. The MUVI K2 still has all the features as its predecessor, such as loop-recording, auto video, time lapse continuous photo, exposure control & digital zoom.